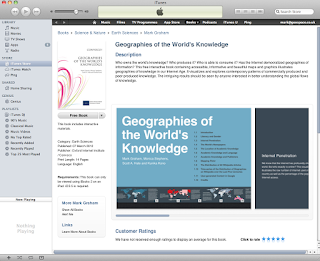 Our booklet, “Geographies of the World’s Knowledge” is now available for iPads from Apple’s iTunes store. The publication is free and is optimised for tablet viewing (we’ve included lots of cool interactive features). If you have a tablet, I highly recommend you check it out! If you don’t, you can always download our PDF version in both English and German. Let me know if you have any questions/suggestions.